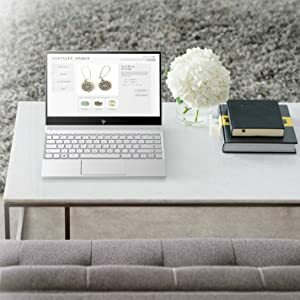 Buy HP Envy 13-ah0042tu 2018 13.3-inch Laptop (8th Gen Intel Core i3-8130U/4GB/128GB/Windows 10 Home/Integrated Graphics), Natural Silver @ 37% Discount. 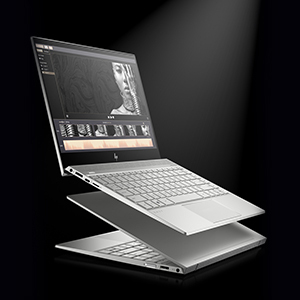 Elegance and sustainability come together in a thin and light full aluminum design that suits your mobile lifestyle. Inspired from carefully hand crafted pieces that feature the Damascus pattern, typically found in sword blades and specialty knives and the result is minimalist form with a chiseled appearance in an all aluminum chassis with sandblasted finish. 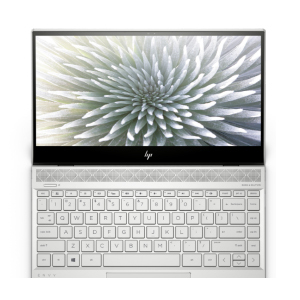 This beautifully efficient design couples a 3 way ultra-thin 4.95mm micro-edge bezel with an edge-to-edge keyboard, maximizing display and keyboard area. Immerse yourself in high-quality entertainment with an ultra-clear full HD IPS with the vibrant quality of 2 million pixels, four HP speakers and carefully matched audio from the Bang and Olufsen experts. Trade projects with confidence thanks to the latest 8th Generation Intel Core processors, solid state drive and integrated Intel UHD Graphics 620 Graphics. With 8 GB of fast, high-bandwidth LPDDR3-2233 SDRAM, everything from multitasking between play, creation and entertainment gets a performance boost. 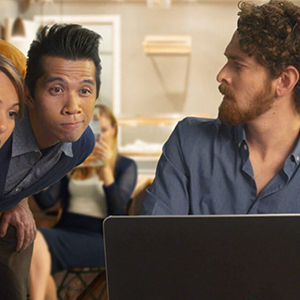 Protect your sensitive information from prying eyes using HP sure view integrated privacy screen featuring 3M privacy technology. Press function F2(fn+f2) to turn on your privacy screen. Press function F5 or F6(fn+f5/F6) to adjust privacy screen for darker environments. To quickly turn on the highest privacy setting, press function P(Fn+P). Work freely with the knowledge that your privacy. 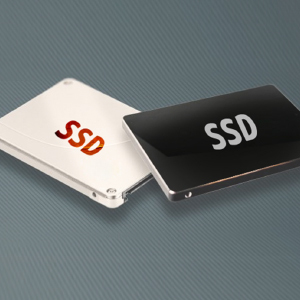 Boot up fast with 128GB SSD PCIe SSD storage(upgradable to 1TB PCIe SSD storage) which gives you superb performance with optimal storage. It’s up to 17 times faster than a traditional hard drive, making it the perfect choice for heavy multitasking. Quad HP speakers designed with Bang and Olufsen's experts provide rich, authentic sound. A listening experience that touches you. Experience and hear state-of-the-art sound with the new generation of HP Audio Boost and SmartAmp technology that provide richer sound and deep bass without distortion. See the power of elegance in motion and explore the freedom to make serious impact. Supported by the latest Intel processor, optional NVIDIA graphics, and lightning-fast storage, it delivers all the confidence you need in a laptop.